Bring your family and friends to one of the hottest destinations in Asia, Taiwan! Visit their most popular destinations such as Yehliu Geopark and Chiufen Village and enjoy their street food! 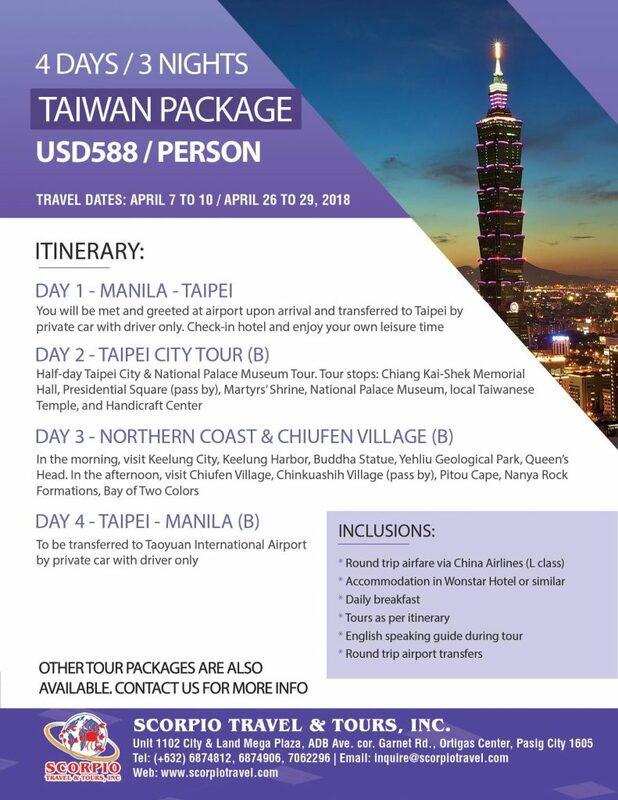 Experience Taiwan for only USD588 all-in! Hurry and book our Taiwan Group Package. This offer is for a limited time only.